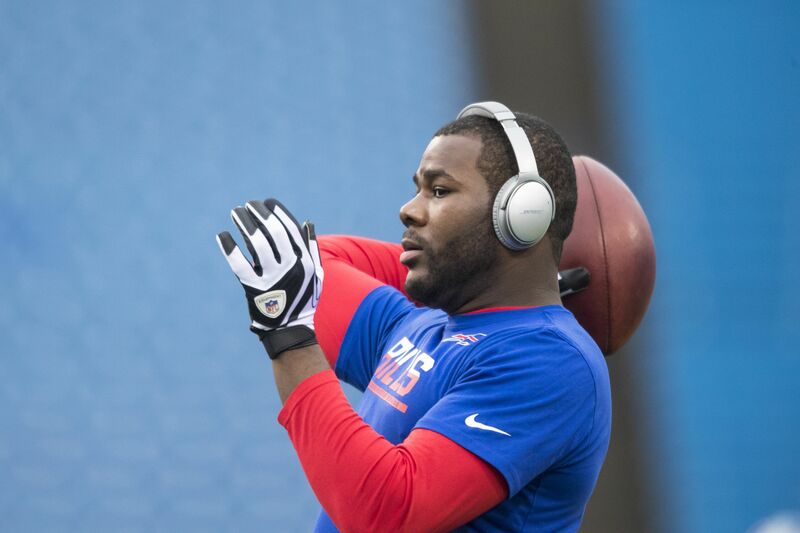 Cardale Jones was shipped to the Chargers on Wednesday for a late-round pick. Cardale Jones is on the move. The former Ohio State quarterback was traded from the Buffalo Bills to the Los Angeles Chargers for a conditional seventh-round pick on Wednesday, Adam Schefter reports. Just a day after reports surfaced the team worked out Robert Griffin III, the Bolts worked out a deal for Cardale, whom they evidently hope will be the backup to Philip Rivers. Doug Whaley made Cardale a fourth-round pick in 2016 as the general manager of the Bills, but he was ousted the day after the 2017 Draft. The new sheriff in town, Brandon Beane, wasn’t part of the organization when he was taken. It’s uncertain why the Bills decided to cut bait with Cardale so early in his career, but it could be that he wasn’t Beane’s guy. He appeared in just one game last season for Buffalo, completing 6-of-11 passes for 96 yards with no touchdowns. He also carried the ball once for a loss of a yard. The Bills’ selection of Pittsburgh Panthers quarterback Nathan Peterman, who was taken 171st overall this year, may have portended Jones’ eventual departure, but they’ve seen nothing of Peterman outside of rookie minicamp thus far. Prior to their acquisition of Jones, the Chargers’ depth chart behind Philip Rivers was buoyed by 11-year journeyman Kellen Clemens, 2016 undrafted free agent Mike Bercovici, and 2017 undrafted free agent Eli Jenkins. It remains to be seen where Cardale fits into Los Angeles’ long-term plans, but the team has yet to find a successor for an aging Rivers, who is set to turn 36 in December. Jones stepped in for an injured J.T. Barrett in the Big Ten Championship Game to begin a Buckeyes national championship run in the 2014 season. He recently returned to school and earned his bachelor’s degree this offseason. The Chargers report to training camp on July 30.